Today, cryptocurrency mining operators could benefit from taking out loans while using their mined coins as collateral to cover their expenses and persevere during the current bear market. Large-scale miners have enormous fixed costs, which they must pay regardless of the price their mined coins are currently worth. Indeed, many mining farms operate on thin margins and a shoestring budget, where expenses like electricity, rent, and other overhead costs must be covered monthly or the operation goes under water. Bitcoin and cryptocurrency mining, in general, is a cutthroat business where even the tiniest of advantages can give your competitors the advantage. 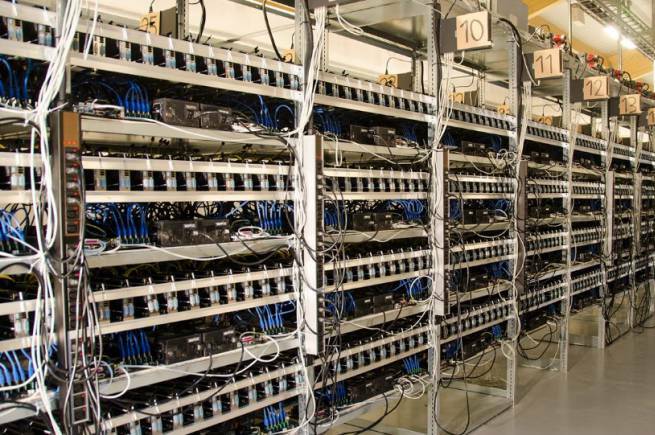 Renewable energy sources, algorithm optimizations, superior cooling systems, and government subsidies are just some ways certain miners try to edge out the competition. But regardless of whether you’re running AsicBoost or not, miners must still pay their monthly expenses to cover their operations. Unfortunately, this has been getting more difficult amid a prolonged bear market that has set in since the beginning of 2018. But this problem is nothing new. In fact, it’s an age-old issue farmers have faced for thousands of years as farm operating loans have always existed in one way or another where a farmer puts up his land as collateral. The expectation is that the land will produce food. Therefore, he will take out a loan (with future earnings from the land) to buy seed, equipment etc. to cover expenses, which he will pay back once the harvest is collected and sold. Today, cryptocurrency miners may choose to do something similar, particularly in a bear market. Gets his cryptocurrency back as soon as the loan is repaid. Furthermore, if the spot price goes up during this period then it’s a double-win. However, if the market spot price is dropping — as it has been all year — an online lending platform such as Inlock could have been an invaluable tool for miners to lock in their profits. Keep in mind, however, that the miner likely would have sold these coins anyway.